Intermediary actors can be crucial for bringing about low energy transitions. This blog explores what they are and provides some key insights about intermediaries in low energy transitions. It has long been recognised that changing the way we produce and use energy is of crucial importance to tackle the challenges related to depleting fuel resources and their environmental impacts. For things to change, actors facilitating these processes and connecting people are important. The capital city of Helsinki, Finland, has set up an innovation unit, Forum Virium, which coordinates the construction of a smart city district within the city combining the use of several innovations, including solutions for energy storage and management, car-free blocks and services, including a smart application which allows residents to control appliances, lighting and heating remotely. In this development, according to ongoing work by Eva Heiskanen and Kaisa Matschoss, Forum Virium has acted as an intermediary identifying new innovations and organising networking events for information sharing, among other things. In the UK, an independent organisation, called Bioregional, has been a crucial intermediary in low- carbon building projects. 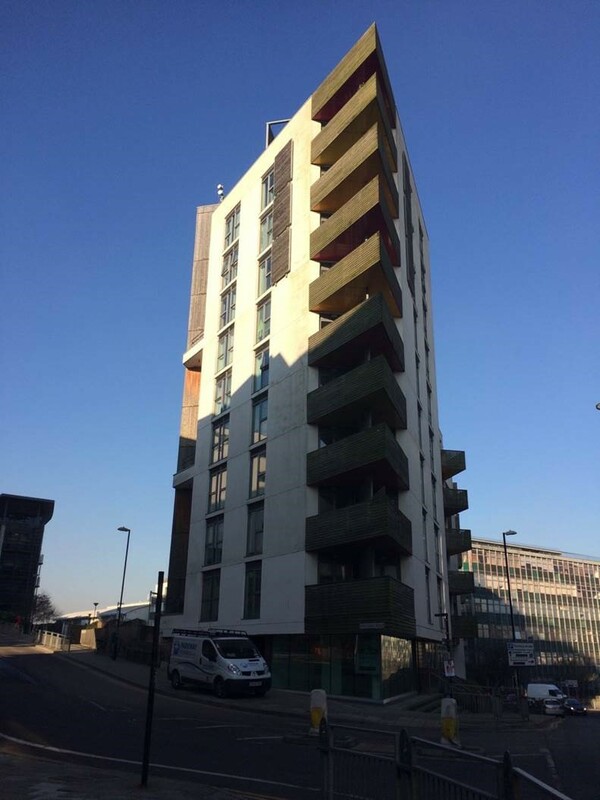 In Brighton, Bioregional acted as a developer for One Brighton, a multi-residential energy-efficient, insulated and triple glazed building heated by woodfuel pellets with a community space and social housing developed to the principles of One Planet Living. It builds on the experience of BedZED, a pioneering low energy housing development built in early 2000s in London. With Mari Martiskainen we have explored how Bioregional acted as an intermediary to One Brighton in several ways. It created a tangible vision for the building project by adapting previous learning from projects like BedZED, carried out project management activities and connected the local council, the builder and the local community together. create demand for policy change without driving the interests of any specific party. 1. What’s the role of innovation intermediaries? Innovation intermediaries can drive change (akin to innovation champions or institutional entrepreneurs) or mediate and connect individuals, groups, resources and knowledge across sectors (and so are sometimes called boundary spanners, knowledge brokers or hybrid actors). While many intermediaries act as distributed change agents across networks and systems, intermediaries can take on broader roles and operate on many levels. The kind of roles innovation intermediaries carry out depend on their focus, degree of financial or political independence and mandate, among other things. Examples from the processes of creating low-energy buildings, installing heat pumps and setting up community energy schemes presented at the workshop showed how intermediation has evolved from simple advice and information dissemination to the development of tools, business partnerships, professional services, and policy advocacy. advocate changes in the regional and national building regimes by influencing politicians, building industries, house buyers and others. Perhaps a key question is what kind of intermediaries are most useful to advance sustainable energy transitions, and can such intermediaries be intentionally orchestrated? And should they? These are pertinent areas for further research. 2. What kind of intermediary activities will bring about more sustainable energy systems? The intermediary activities required are likely to differ depending on the phase of energy transition or the stage of innovation. This is also likely to define the extent to which intermediation between actors and processes is needed at all. Also, intermediary actors may experience favourable or hostile contexts, which require different strategies. We scholars continue to have different interpretations on the scale and definition of intermediation activity. In the workshop, there were differences in opinion regarding the degree of advocacy and of neutrality (intermediaries as benefactors or businesses) that the intermediary actors possess, or should possess. What we did agree on, however, was the need to make intermediation more visible. This is a fine balance however, as intermediaries should not take centre stage if they are to act as effective brokers between actors. 3. What do intermediaries deliver? Intermediation focuses on delivering a key object or a service. This can range from shared energy output (from a community energy scheme, for example) and technologies (such as heat pumps) to more broadly facilitating low-energy transitions or niche areas, like low-energy buildings. The focus partly determines if the intermediary is regarded as neutral (politically, financially or technologically) or if it seeks to advance particular interests. Both types are needed but, it was felt by workshop participants that the intermediaries’ stance should be made explicit to others. Why are our insights relevant? When making recommendations as to how we can achieve more sustainable energy systems, it is important to acknowledge the role of different intermediary actors and their associations. We also need to differentiate between those kinds of intermediary activities that are fundamental for low-energy transitions from those that are beneficial or even detrimental. In addition, we need to know if policies or community experiments are dependent on particular intermediaries to make them successful.